Not only is AT&T’s 5G E indicator misleading, but a new report suggests that the speeds behind it are actually slower than the competition. First, a bit of context if you aren’t familiar. Earlier this year, AT&T debuted a new cellular “5G E” indicator on iOS and Android. 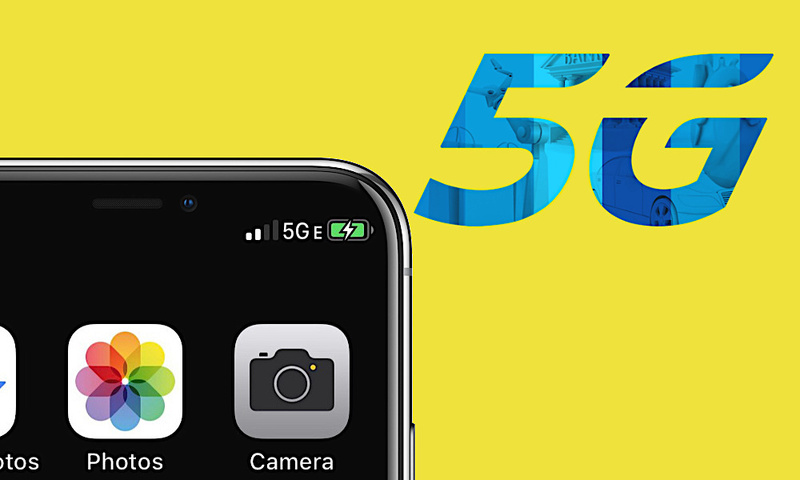 While the name suggests otherwise, that indicator represents 5G Evolution (AT&T’s name for its updated 4G LTE networks). The carrier describes it as a huge step toward 5G. But it’s actually just an advanced LTE network that uses the latest cellular technology, such as 4×4 MIMO, 256 QAM and three-way carrier aggregation. Those are all technologies currently in use by AT&T’s competitors. And today, a new crowdsourced OpenSignal report indicates that those competitors actually have faster networks. OpenSignal, after compiling data from more than 1 million user devices, found that AT&T users saw average speeds of 28.8Mbps. That’s third place, compared to Verzion and T-Mobile. Here’s how it breaks down. To put it another way, “5G E” is nowhere near actual 5G — it’s just upgraded 4G LTE. And not all users are even able to take advantaged of advanced LTE technologies. On that note, OpenSignal found that AT&T’s non-advanced LTE network still lagged behind Verizon and T-Mobile. As we’ve covered before, the actual difference in downloads speeds between the carriers is actually pretty negligible. (Besides Sprint, of course. Sorry, Sprint.) Download speeds are also just one metric of overall network performance. And it’s worth noting that different tests performed by firms often come out with different results. And yet, despite of all of that, AT&T routinely comes in third no matter the test. That makes the 5G E symbol even more confusing for consumers, particularly those who aren’t savvy on the latest cellular technologies. Don’t think AT&T’s rivals didn’t take notice, either. T-Mobile took the opportunity to mock the misleading icon, while Sprint actually sued AT&T over it. It’s a disingenuous symbol because it makes it look like AT&T’s network carries a significant advantage over its competitors. It doesn’t. It’s not a terrible network by any means, but it really shouldn’t be marketed under the “5G E” brand.